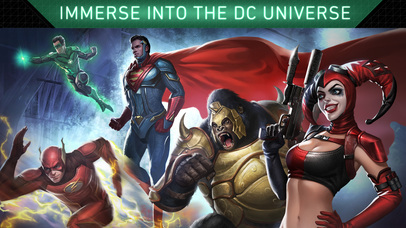 Injustice 2 (Free) by Warner Bros. is the mobile version of the upcoming sequel to the original Injustice: Gods Among Us that came out in 2013. 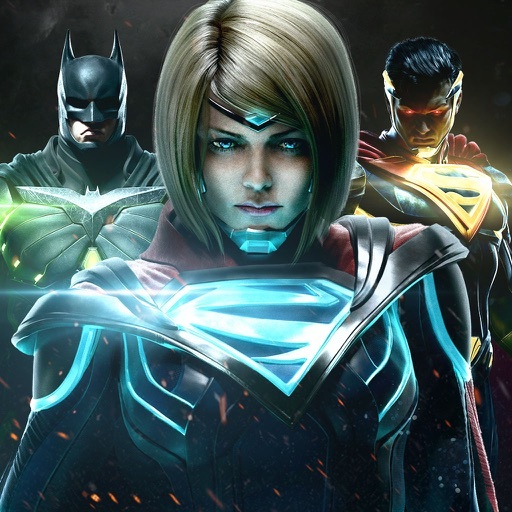 If you enjoy fighting games and love the DC Universe, then Injustice 2 is a must, especially if you’re waiting for the console version for Xbox One or PlayStation 4. With all of the comic book and superhero movies that have been hitting theaters each summer for the past several years now, the hype and love for comics seems to be a love or hate thing with most people these days. Honestly, I have always loved superhero themed things since I was a kid, though I don’t read comics too much because there’s so many storylines and universes nowadays for me to follow, and I’ve long preferred Marvel over DC. However, since my boyfriend is a much bigger DC fan than Marvel, I’ve been watching more DC animated movies and listening to various explanations of the Justice League and have started taking more of a liking towards the DC universe as of late. 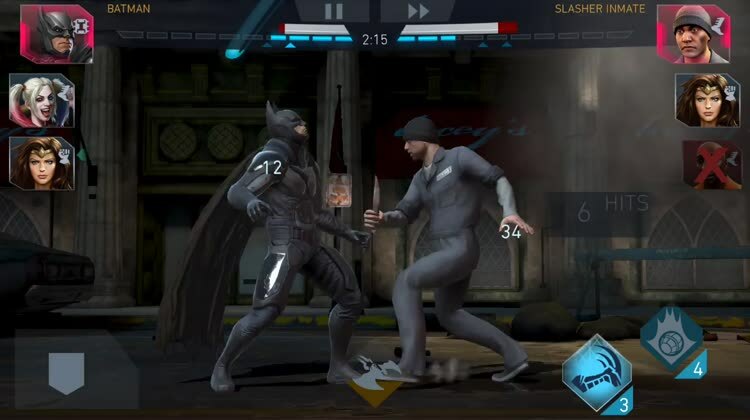 So when I saw Injustice 2 arrived on mobile a bit early, I had to check it out and give it a spin myself, especially since fighting games are also a great way for me to take out some frustrations. No matter if you’re a veteran DC fan or newbie to Injustice, this one definitely does not disappoint. Visually, Injustice 2 packs in some gorgeous console-quality graphics that look stunning on Retina screens. While it may not be the same as looking at the game on a 4K television with a PlayStation 4 Pro, it’s still fairly impressive considering that this is a game that runs on a device you carry in your pocket. The animated cutscenes look and feel like movies, and are entertaining to watch even if you normally skip that stuff. 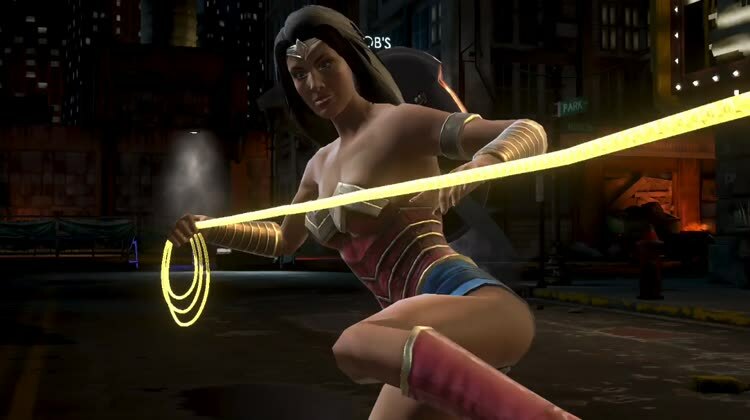 During actual gameplay, all of the character models of your favorite DC heroes and villains are insanely detailed and have realistic movements that don’t feel out of place. Lighting effects are done well, and the dark, gritty color palette sets the tone perfectly. I also love how the style that each character’s portrait is drawn in, because they all look unique and pack in fine details and vibrant colors. Animations in Injustice 2 are smooth and fluid with no lag issues on my iPhone 7. 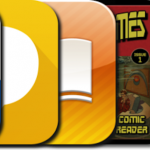 Be warned — the game requires a device that can run iOS 10 and higher along with at least 1GB of RAM, so you will need a newer iPhone or iPad that’s capable of that to play the game. The soundtrack is ambient and just what you’d expect from a fighting game with popular DC characters, and the sound effects are nicely done. To top it off, there is also some voice acting that only adds to the game’s authenticity. 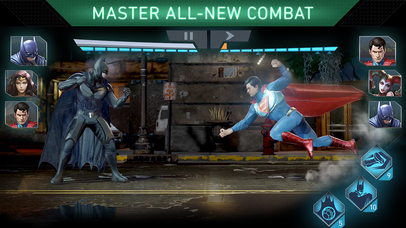 While Injustice 2 is a fighting game at the core, there are several different modes available that players can go through. At the moment, there is the single-player Campaign and Story Modes, Arena for online PvP, Challenges, Resource Missions, and Operations. A League mode is coming in the future. Right now, I’ve only done the Campaign and Story so far, along with Operations, because the rest are locked. Campaign has players going through a series of battles before facing off against a boss fight, and then moving on to the next round of fights. Boss matches can be replayed at any time, which is good for grinding for experience points for each of your teammates. For each successful fight, you earn experience and even a handful of loot, which can be hero shards (needed to obtain characters), character gear, gold coins, or gems. But be careful — each battle takes up some energy, which you only have so much of (this is a freemium game, after all). The Story mode will reveal the story behind Injustice 2 in a series of mini episodes, and each one contains a fight or two at some point throughout the scenes. You’ll have to win these pre-determined fights in order to progress through the story, which I have found to be pretty immersive and interesting. Fortunately, they don’t take up energy to play, but you also can’t change your team. Operations is basically where you send available characters off to do “missions” on their own, which take a certain amount of real time to complete. You get various items and rewards for finishing these, but if you’re impatient, you can use gems to speed up the process. 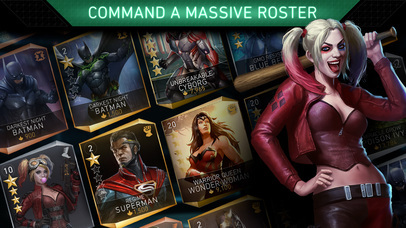 When you begin playing Injustice 2, you’ll only have access to Batman and Harley Quinn after she gets you through the tutorial process. 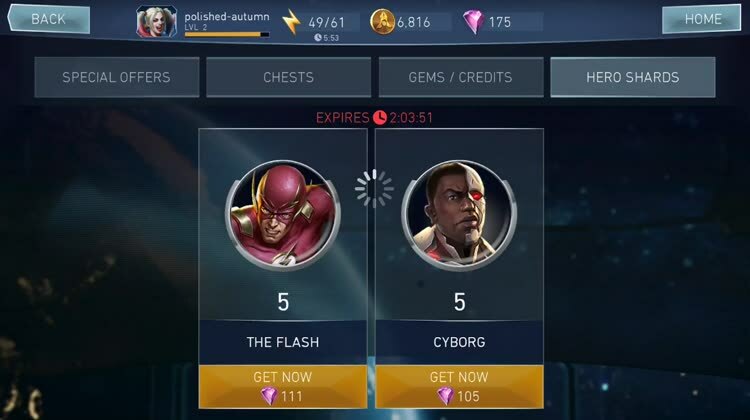 After that, you’ll have to unlock characters by collecting the required amount of hero shards, or even getting them by luck through chests. The game has a free basic chest that you can open every couple of hours, but if you want more than that, you’ll have to drop some dough for enough coins and gems to do so. Controls in Injustice 2 are simple enough, and nicely designed for the touch screen. To perform a basic attack, just tap on the screen. Swiping to the right allows you to perform a rush attack, which involves the character lunging forward with a barrage of attacks. A swipe to the left lets you evade, but if you tap immediately after that swipe, you can do a ranged or projectile attack, depending on the character you’re currently controlling. Swiping up lets you do a jump attack, while a downward swipe does a crouch attack. There are buttons in the bottom right corner that let you use a character’s special moves as long as the gauge is charged, and a button in the bottom left lets you block and take less damage from attacks. Your team for each battle can be up to three characters, and all you have to do in battle is tap on their portrait to switch to them. Doing enough attacks and blocks charges up the Super Move meter, which appears in the bottom center of the screen when it’s full. Tapping on this when it’s ready allows the currently active character on your team perform their Super Move, which is a dazzling cinematic display of sheer awesomeness and does a hefty amount of damage to the current enemy, if not KO’ing them. In order to be good at Injustice, you’ll need to read the opponent’s moves often and learn when is the best moment to attack, defend, and switch teammates, because otherwise you’ll be eaten alive. I mentioned earlier that you can get character-specific gear as loot rewards from battles. These raise a character’s stats and modify their abilities, and improve their threat level, which means a higher overall threat level for the team. Before each fight, you can see your total threat level as well as the enemy team’s numbers, so it gives a good idea of how easy or difficult it is going to be. I’ve only just started playing Injustice 2, and honestly it’s my first one, but so far I’m loving the experience. The graphics are fantastic for a mobile version of a console game, the roster is expansive, the fights are challenging but fun at the same time, and the controls work well for what it’s worth. 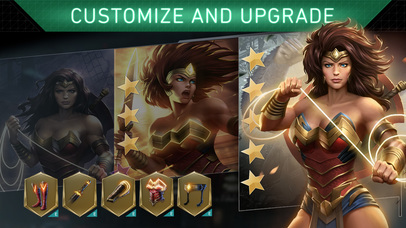 I do wish that it wasn’t such a pain to get hero shards to get more characters, because of course the good ones are always super expensive and costly, and I could do without the energy system, but hey, I suppose that’s a good reason for me to pick up the PlayStation 4 version eventually. 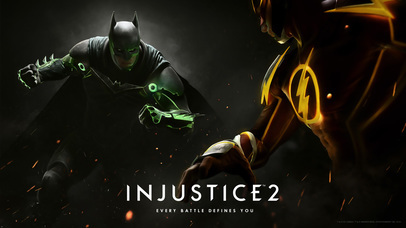 I recommend checking out Injustice 2 if you’re a fan of the original game, love DC, or just want a fun fighting game. You can find Injustice 2 on the App Store as a universal download on the iPhone and iPad for free with in-app purchases. The console version of Injustice 2 will be available on Xbox One and PlayStation 4 for $59.99.